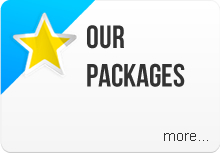 Here you will find price and package options for the various events and functions we cover! For a specific price / quotation for your event please use our contact form or simply give us a call for a quick chat. This is our standard Wedding package covering five hours (7:00 arrival for set up) and includes Sound/P.A system, Light system, Host/DJ, Wireless/Wired Mic, Background Music. PREMIER = Earlier attendance – 5:30pm to 1am = Euro 245.00 (Additional hours at Euro 25.00) and includes Sound/P.A system, Host/D.J, Wireless Mic, Earlier diners background music, speeches, Bubble Machine, Smoke Machine, extra lights. DELUXE = Earlier attendance – 4:30pm to venue closing time (latest 3am) = Euro 295.00 and as Premier plus Confetti Cannons, Glow Sticks, Projector for married couples photos on display (and Karaoke if needed). Based on five hours (four plus one set up) – Euro 195.00 (additional hours at Euro 25.00) times adjustable and includes Sound/P.A system, Light system, Host/DJ, Wireless Mics, Background Music. Based on Euro *5.00 per head incorporated into fixed menu or ticketed event. See also dedicated page here. *This is based on minimum 50 guests at Euro 5.00 per head.